Spanish retail bank Sabadell (SABE.MC) said that it expects its bad loans ratio to peak at around 5 percent in the third quarter of 2010, as the impact of the global crisis begins to abate. Bad loans as a percentage of the total rose to 3.73 percent at the end of December from 3.47 percent at the end of September, with Spain's property sector crisis continuing to bite. Spain's property sector is in a steep downturn after a decade-long boom and many of the country's banks have taken stakes in real estate companies in exchange for cancelling debt. Recently the country's second-largest bank raised broader doubts about Spanish banks' ability to absorb a property market crash after it said it had set aside 6.6 billion euros to deal with higher than expected provisions for struggling developers. 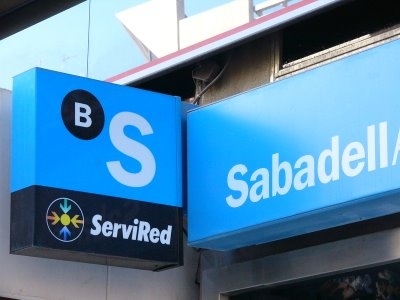 Despite the provisions, Sabadell's 2009 net profit beat analysts forecasts, mainly due to earnings generated by financial operations -- including asset sales and the buyback of preferential shares -- which nearly quadrupled in the period. Net profit came in at 522.5 million euros beating analysts forecast for 491.4 million euros.